Earl Bakken passed away last week at the age of 94. Not many people have heard of Bakken, but he saved millions of lives all around the world. 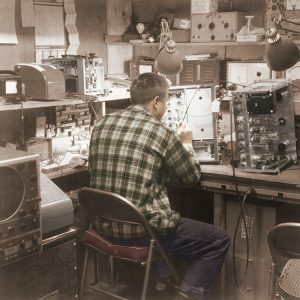 In 1949, Bakken founded Medtronic, a garage-based medical equipment repair shop that made $8 in its first month of operation. In 1957, an infant with a heart condition died after a blackout disabled her plug-in pacemaker. At her surgeon’s request, Bakken invented the world’s first portable model, powered by an external battery taped to the chest. A few years later, he and his partners licensed designs for the first implantable pacemaker. Money wasn’t a problem any more. But for Bakken, it wasn’t about the money – it was about using science to restore people’s health and improve their lives. In 2013, Medtronic launched The Bakken Invitation, to honour patients who’ve used the “extra life” medical technology granted them to improve the lives of others. Bakken was also a firm believer in the power of “tinkering” to inspire and empower kids – programs at The Bakken Museum give kids a chance to get hands-on with magnetism and electricity. Though we never met him, Earl Bakken has been an important influence in our household. 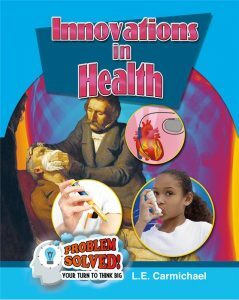 Tech Support worked for Medtronic for many years, and I featured him in my children’s book, Innovations in Health. The book encourages kids to innovate and invent, and since Bakken had been doing that since he first saw the movie Frankenstein at the age of 8, he was a perfect role model. Rest in peace, Earl Bakken. And thank you. To learn more about Earl, visit Medtronic, The New York Times, or the Wall Street Journal. Better yet, plan a visit to The Bakken Museum. Has anyone you know received a Medtronic pacemaker? How has medical technology changed your life? How interesting! My dad had a pacemaker. I had no idea. I’m so glad your dad could be helped by a pacemaker! That “extra life” is precious no matter how you spend it.